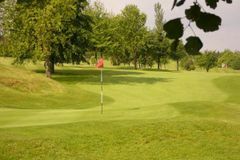 Creigiau is a real favourite with Cardiff golf tour visitors thanks to its excellent parkland course and the welcoming environment for visitors. Located just a few minutes from the city centre, the club is also very convenient. The 18-hole course is a decent test for golfers of all standards, with a maximum length of 6,015 yards, and has excellent views of the surrounding countryside. For a pleasant and relaxing round, head to Creigiau during your next golf tour in Cardiff.